Check Out This Awesome ‘Jurassic World: Fallen Kingdom’ Concept Art! While Jurassic World: Fallen Kingdom doesn’t release in theaters until June, the first official look at its art was released in a Jurassic Park 25th Anniversary Blu-Ray set. The art itself focuses on 4 key scenes, all present in the trailers: the park ruins, the Baryonyx bunker, Mosasaurus attack, and the Indoraptor auction. Take a look at the beautiful art below, and the corresponding scenes to compare – huge thanks to Dan on Twitter for sharing it! With any luck, a Jurassic World: Fallen Kingdom art book will be released, which is something that has been requested for 2015’s film numerous times but never came to fruition. Judging from the latest trailer, the amount of stunning artwork must be overflowing, and it would be incredible to take a behind the scenes look at the design process. What are your thoughts on the art, and would you buy a Fallen Kingdom art book if it were to be announced? Sound off in the comments below, and as always, stay tuned for everything Jurassic! Well, that’s what happens when you let hundreds of animals–a good many of them weighing over 5 tons–roam free. And the Main Streetshot from the movie is off. The two big orange pillars at the end of the Main Street near the lagoon are intact. I just wish it was included with the 4K set. I’m very confused at how they plan to get the Baryonyx out. It looks cool for the horror narrative, but I guess i’ll wait for the movie to answer the question. Though, cool concept art! Jurassic world is no more the island is gone end it all, all of it illegal species don’t need saving. If you look at the 2nd picture of the mosasaurus lagoon you can see the gate into the tank and a small river behind the gate leading to the ocean, thats must be how the mosasaurus gets out and away from isla nurbla. What’s with the pillar at the end of the main street? That got smashed down in JW’s climax fight. No it’s a screen shot of the film with the concepts on the bottom. The concept art got it right. The film didn’t. Oh no guys! what if you’re right!? I’m hyper ventilating right now! Seeing what happened next in the story for those two pillars was one of the most exciting and meaningful plot points for me, but if they have just gone and taken away the depth of their whole back story, by just disregarding them, and not playing attention to canon, then they have pretty much ruined the whole film. I feel like the whole crew is laughing at all of us. First the concern about the precise angle of the eyeballs of the cast on the poster, and now this. The fallen trilogy more like it! Neat pictures, reminds me of the art on those cards packaged with old Kenner toys. In the second mosasaurus concept art they just photobashed this Papo TRex in the background lmao how lazy is that. Concept art is about getting down ideas, it’s not an illustration – it’s (concept) art for a reason. Well… You realize that Papo stole a lot of designs from JP first right? They are giving away way too much now. It’s going into that period where you will see the whole movie before it comes out. If I can resist, I’m gonna have to stop typing in “Jurassic World” and stop looking at the outpost till June. I’m amazed at how much the studio has chosen to release / spoil prior to the film’s release. I know I shouldn’t be. Bearing in mind that for the first time in my life I’ve chosen not to watch a film’s final trailer, I still know far, far too much. It says a lot about human beings that we feel the need to tell someone everything about something to make them go and see… by which time of course there is little point. It’s like we only do things if we’re coerced / feel it’s cool / popular / hyped enough / will get a like on Facebook and not because we’re actually interested in it or will enjoy it and be surprised by it. Just whip up the masses into a feeding frenzy to spend their money and let them simmer down again (until the DVD release). Wow, this has turned out more cynical than I thought it would lol. You’ve said it just like it is! Not too far, but not under done. I think if you watched the main trailers, depending on your individual wants, you may be ok, but even then, still it’s probably too far with them. This is just one of the most exciting films ever for me! So I couldn’t resist watching them. I did draw my line when the Chinese one came out though. But yeah, I sound like a broken record, but people really need to stop searching for Jurassic World on the net now, because over the next few weeks, they will, no exaggerating, show you most of all the big scenes. Like you say, it’s quite stunning how far they are going. But Jurassic Park 3 was like this. I remember they shown alot of the big scenes on movie shows, and I even taped some of them on VHS and watched them how many times! Then when I seen the movie, I remember feeling like I had hardly seen anything that new in the whole thing! Still was exciting though. I would most certainly buy an art book if it was released. Indeed, I would love it. Shame they didn’t make one for Jurassic World. Something I have said for years now is that they just don’t make the great stuff they used to. I remember i collected several magazines entirely about The Lost World. Not to mention all the other magazines that come out with big articles. Then there was the big making of book and loads of other books and collectables. They just don’t do that any more, for anything really. I wanted that kind of thing for Jurassic World, but no. Shame. Whatever happened to those “souvenir magazines” they used to do for big movies like this? You would think they would still at least do those, but they have stopped now. Is Crash mcgreery still involved with design for the dinosaurs? I find some new designs somewhat off.. I find the Carnotaurus to be very jurassic park in style but the allosaurus could easily have been in Walking with Dinosaurs instead. The new pteranodon are also missing that something for me. Maybe I am just getting old hehe. 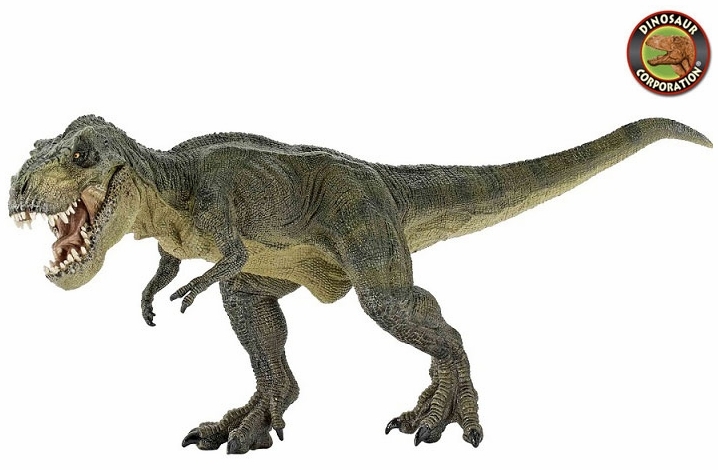 to me, the allosaurus looks like a weird white blobby thingy. also, if the allosaurus is white, why would masrani be so surprised at the indominus being white? The art looks so cool and if a Jurassic World Fallen Kingdom art book was announced, I would buy it.